Did Donatella Versace find her role in the Versace empire? That was her plan on American Crime Story: Versace Season 1 Episode 7 when it became apparent that she could be let go because of a past indiscretion. Meanwhile, the villainous Andrew Cunanan decided it was time to move on from his troubled family life, but that only took him closer to Gianni. Who was the one who introduced him to the family? 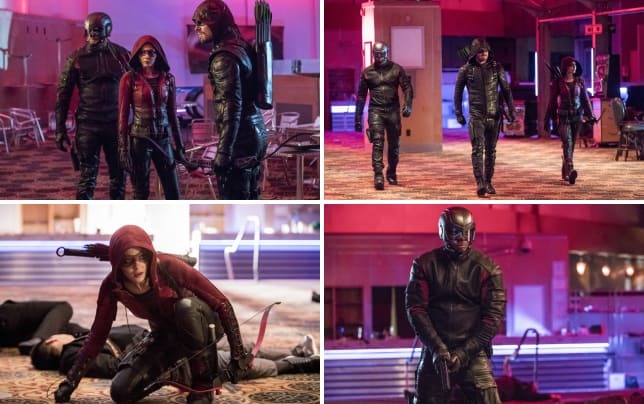 DC TV Photos: Iris Suits Up, Roy Returns to Star City & So Much More!